Next Sunday The Walking Dead will air “The First Day of The Rest of Your Life,” the season seven finale. 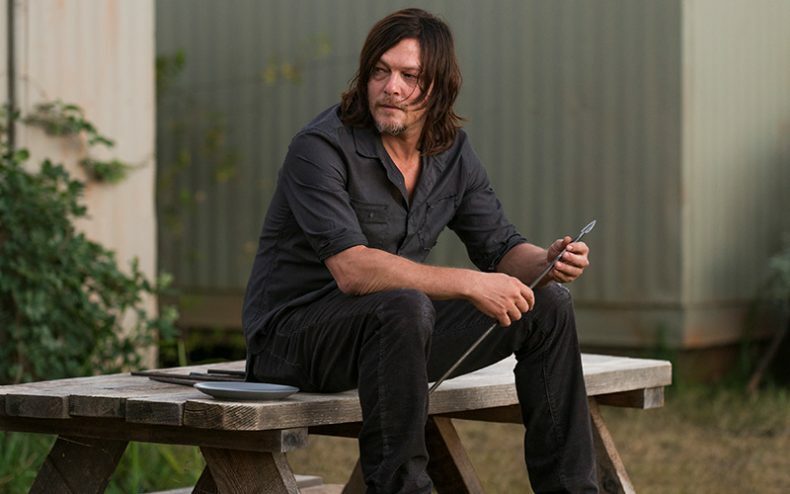 Series star Norman Reedus was given a strange request by Yahoo TV. Since these guys have gotten good at dodging hints, Reedus was instead asked to supply “two lies and one truth” about what happens this weekend. 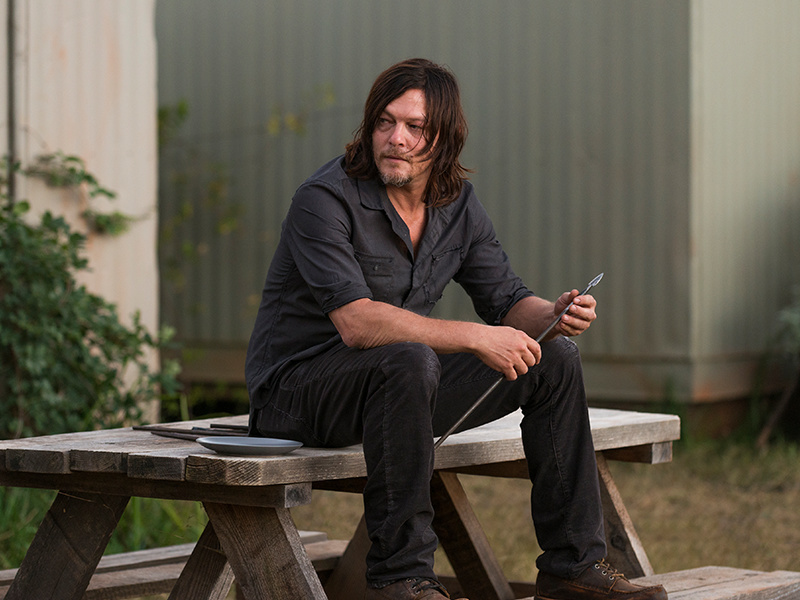 “There’s a whole group that gets taken out,” Reedus said. “There’s a bunch of balloons in one [scene]. And a cat has kittens.” Satisfying enough for you? Why would they air two different episodes that have a scene with balloons? Therefore, a group gets taken out. Simple. When asked for their personal, spoiler-free opinions on the season finale, the cast provided their usual gushing praise. Lennie James takes the cake with this one: he claimed “there’s two moments in the script where I jumped up and down like a giddy schoolboy.” I’m not sure if I believe him, especially since he also claimed he was on an airplane when it happened. Will the season finale make YOU jump up and down like a schoolboy? Or is this just another kitten lie? The world finds out in two days when The Walking Dead airs its season finale on AMC.